Jennifer Boyce-Canfield assists attorneys with defense litigation with particular emphasis on medical malpractice claims and personal injury matters. Ms. Boyce-Canfield requests and reviews medical records, and prepares medical summaries. She also prepares special and deposition indexes. In addition, Ms. Boyce-Canfield schedules meetings and depositions, and assists in all phases of trial preparation. Some of the clients she has assisted with include ProAssurance and Medical Protective. 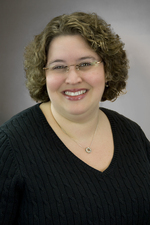 Ms. Boyce-Canfield joined Hinshaw & Culbertson LLP in March 2008. Previously she was for nearly 10 years a paralegal at Spangler, Jennings & Dougherty, P.C., and prior to that, she was a legal assistant to Gregory Hofer, Esquire. In 1995 she was a summer intern with the Honorable Stephen King, LaPorte Superior Court, No. 2. Ms. Boyce-Canfield is a notary public in the State of Indiana.